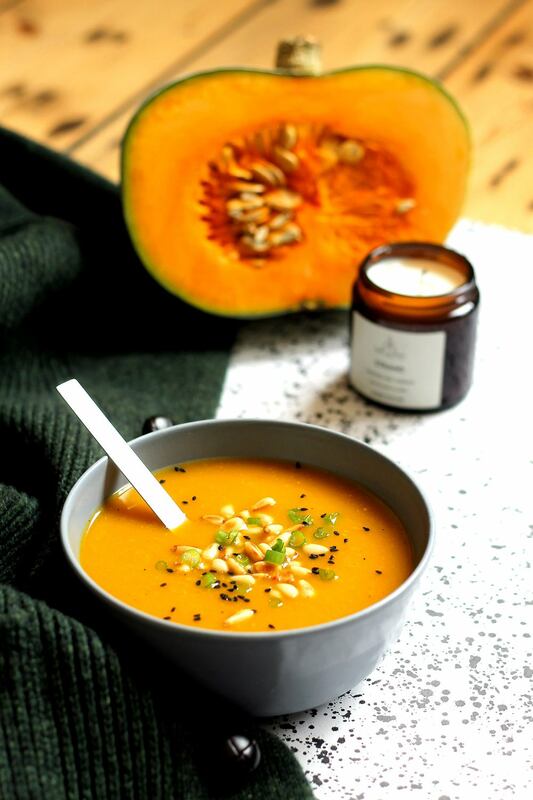 Squash soup is the ultimate soup-er supper: healthy, seasonal & comforting, SUPER EASY to make & really exciting when served with a lot of fun toppings! In a large saucepan, heat up the olive oil. Add all the vegetables and a small pinch of salt and fry for a few minutes until slightly golden. Cover with water, add the stock cube, pop the lid on and cook over medium heat for 20 minutes or until the vegetables are soft. Use a hand blender or food processor to blend the soup. Share between 2-4 bowls and go wild with the toppings!